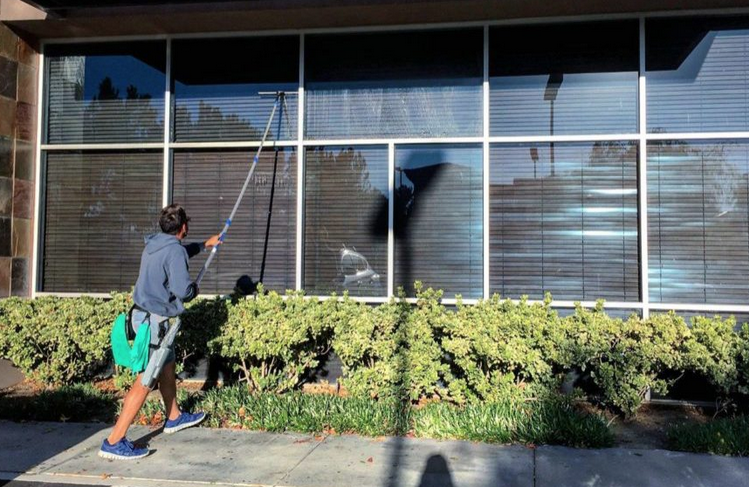 When getting quotes for window cleaning prices, whether through a phone call or in person, the details of windows to be cleaned, the kind and their conditions and also their accessibility will be looked at and discussed. If our technician is familiar with the description given over the phone, he may provide the price to charge. However, if the description was given is not that precise, the cleaner might only be able to give a rough estimate over the phone and then give the final price when he does the inspection. Other questions that the our experts might need to get answered are whether special equipment is required or special cleaning solutions are needed for your windows. When setting the window cleaning price to be charged, our cleaners set a minimum basic service price that depends on the size of windows, accessibility, and difficulty of cleaning the windows. We charge depending on the number of windows, but add an extra charge if we need to clean window accessories like storm windows and screens. As you prepare for our window cleaners, ensure you remove any objects from the windows that could hinder access to the windows to be cleaned. Clearing these objects saves the time that the cleaner would have taken if he were to do that. Cut the branches, move the heavy furniture and the window curtains. We provide the temporary covering for the floors to prevent them from getting dirty when coming in and out. At Crystal Clear Shine, we have a team of reliable and prompt window cleaners, who have professional expertise and experience in window cleaning. We offer excellent value for the window cleaning prices paid by our customers. We clean windows in such a professional fashion that the window is cleaned without even a single scratch or damage. We assure quality, durability, reliability and above all safety to all of our clients. We do a perfect cleaning of the window irrespective of the size of the building, and use superior quality chemicals and sophisticated set of high-end tools to clean the windows. Whenever you are looking for professional cleaners, it’s always advisable to hire licensed and bonded professional companies. Crystal Clear Shine is the best window cleaning company in the Wilmington Area and we want to prove it to you! Call us today at (910) 758-0114 to schedule your window cleaning service with Crystal Clear.